But… how do we KNOW this? Here’s my suggestion. Poll all of the Black R&B artists of the 1950’s who knew Elvis and who are still with us today — and ask them how they feel about that. Based on extensive research I did some years ago for a lecture series I gave on The Early History of Rock ’n’ Roll, I will bet a dozen Krispy Kreme doughnuts that they would tell you they were thankful that Elvis shone a spotlight on them, their music, and the genius of R&B as a whole. They never saw him as committing “cultural appropriation” by recording their songs. Why? Because Elvis proved a truly gracious and humble mentee of these men and women, and he always gratefully admitted how much in their debt he was. 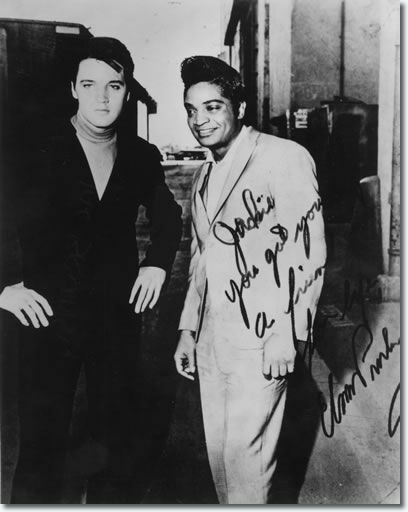 According to the late, great singer Jackie Wilson (whom Elvis highly admired, and with whom he became great friends), “A lot of people have accused Elvis of stealing the black man’s music, when in fact, almost every black solo entertainer copied his stage mannerisms from Elvis!” A 2007 New York Times article thoroughly documented the fact that Elvis became a welcomed adjunct member of the African-American music community. Did Elvis sing “Hound Dog” like Big Mama Thornton? or “Shake, Rattle and Roll” like Big Joe Turner? or “That’s All Right” like Arthur Crudup? No, of course not. Rather than imitate (steal) these artists’ styles, he put his own “Go cat, Go!” rockabilly swing to them. But the echoes of the original artists, whom he revered, were always there. Here are a couple of pairings of the songs Elvis adored, and his tribute to them. The New York Times article to which I referred above is called “How Did Elvis Get Turned Into a Racist?” written by Peter Guralnick. The San Antonio Examiner article from which I quoted above is called The Definitive Truth About Elvis Presley and Racism According to B.B. King written by Jack Dennis. I strongly recommend you read both of these articles — especially if you are among those who think it necessary to hate Elvis because of the color of his skin. Great article. And you’re right Elvis’ name has been coming up more and more within the last few years within the context of “cultural appropriate” or “thief” or “racist”. 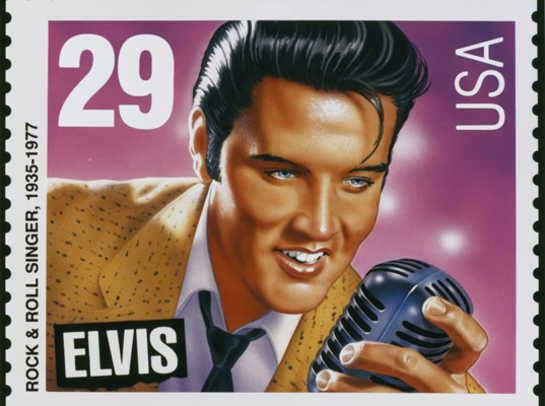 Our modern Cult of Personality has an unhealthy obsession with twisting history in a way to continually discredit Elvis that would be polar-opposite of what the icons from his own era had to say *in favor* of him. Poor guy was slandered as having supposed bigoted views towards black Americans as well as similar made up rumors that he hated Mexicans, which led to an all-out National anti-Elvis movement in the country of Mexico starting in 1957. 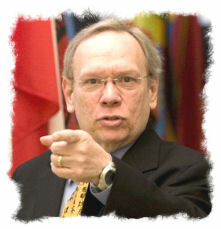 Seriously is it possible that a nicer man in American history was ever so unjustly hated? And in stating that…. it’s fair to say his name and Legacy is deserving of a huge sincere humble apology from many people. P.S. – Just a couple extra books to compliment your research that you may very well be interested in they are great quick reads yet powerful and compelling in reference to this very topic. Can probably find them Used on Amazon or elsewhere on the internet for about $12 each. Between the two of them it’s the best $25 you will ever spend regarding pop culture history. & the other is Todd Rheingold’s “Dispelling the myths: An analysis of American attitudes and prejudices”. Both of these have wonderful, thorough citation, documentation and quotes from a much larger base of Black Americans that knew Elvis personally or were from his era and had some powerful words in his defense. Also is many quotes from black reporters / journalists and activists that put Elvis in a context worthy of great respect. What we find out from reading these books is that not only was Elvis a man that “gave credit”…. but he was a man that behind the scenes was much more a cultural Force for good than he really has ever been given credit for. He was very involved in helping the black community throughout the years and was credited for this by Black charity event organizers and activists. He called out white folks around him on numerous occasions for their bigotry, and in once instance even defended a black friend of his by beating up a racist at the front Gates of Graceland. Elvis was not an activist, but on an individual level he had a much higher level of empathy and compassion for minorities then many white folks of his era ….for that matter many white folks of today. Reading these books we realize the **absolute absurdity** that there are many people out there today even some that are members of Academia… are college professors and authors that are teaching courses in college and are on national TV discussing Elvis as if he was some sort of Hitler to music. A lot needs to be done to purge many people of the ignorance regarding this subject but writings such as yours are a nice start. TCB …. keep spreading the word. I think that sweet humble young man from Tupelo is worth the effort. Well said, my friend. Thanks for the book recommendations. I will certainly follow up on them. When I went down to Graceland some years back to begin my research on the Early History of Rock ‘n’ Roll, the administrators there (who could not have been any nicer or more helpful) kept referring to Elvis as “our boy!” In that spirit, let me say I know “Our Boy” would be very appreciative of what you wrote. Thanks again.